Public Consultation regarding the evolution of the Variable Cost Recovery Mechanism. The “Hellenic Association of Independent Power Producers” is an initiative of the largest private power companies, which – after having already implemented significant investments of €1.5 billion in six (6) cutting-edge natural gas power plants – decided to establish an association aiming at managing generation issues and promoting matters related to the supply of reliable, affordable and environmentally friendly electric power, as well as the deregulation of the market regarding all energy resources. 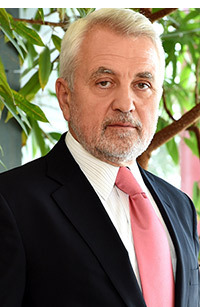 The HAIPP member companies have faith in the need of the country to develop and reposition itself in the present and future Europe; they have decisively contributed towards this direction by investing more than €1.5 billion in order to safeguard adequate, environmentally friendly and competitive electric power for businesses and households. They are the catalyst that will lead to the actual liberalization of the Greek electric power market. Greece being a closed, phobic, introverted and far from perfect market must be transformed into an open and competitive one, which will become an essential growth center for the broader region. The actual liberalization of the Greek electricity wholesale power market is one of the main prerequisites for growth. It is the new, state of the art and environmentally friendly natural gas plants that safeguard, in the most expedient way for the National Economy, the fastest and safest adjustment of the country to the commitments it has undertaken towards the European Union and the Greek citizens for the achievement of the 20-20-201 goals. The Association, with knowledge of the European and international frameworks and guidelines governing the electric power market, is actively and constructively participating in the dialogue with involved authorities and organizations (EU, Greek Ministry of Environment, Energy and Climate Change, Regulatory Authority for Energy, Public Power Corporation) for the configuration of a competitive and sustainable market that will, on the one hand, attract new funds and investments and, on the other hand, will serve in the best possible way the interests of the end consumer.